It’s a glorious summer’s day and there’s no better place to be then on one of Sydney’s beaches or waterways. Whether you arrive by private boat or road, The Cottage Point Kiosk and General store is popular with yachties and Sydneysiders looking for tranquility. Lying deep in the heart of the Ku-Ring- Gai Chase National Park, the Kiosk is perched on the edge of Cowan Creek that runs off the Hawkesbury River and is the perfect place for a chilled lunch or snack. 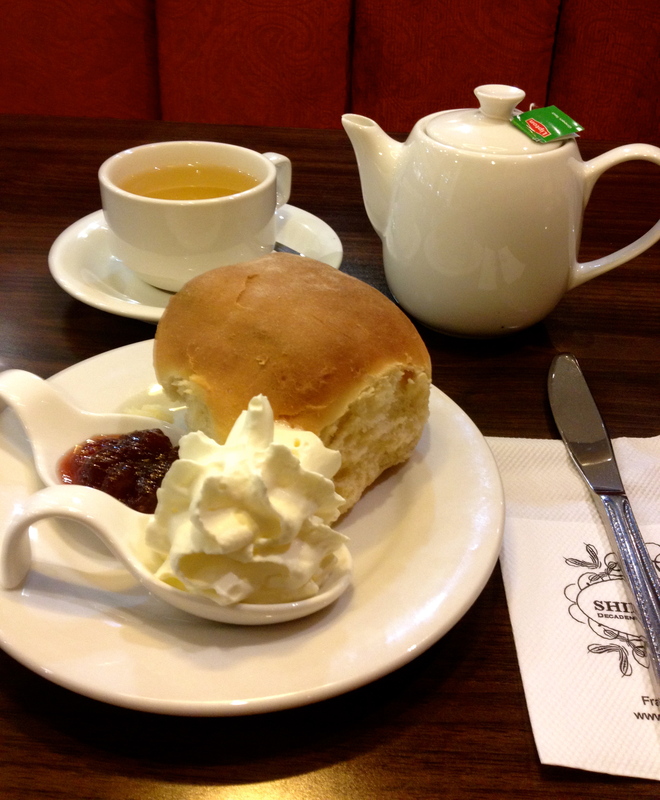 A friend told me about the Devonshire Teas, so I was excited to try them and even more excited when I arrive to see Devonshire Tea signs plastered all over the Kiosk. I miss out on the date scones but the plain scones look homemade and crusty. 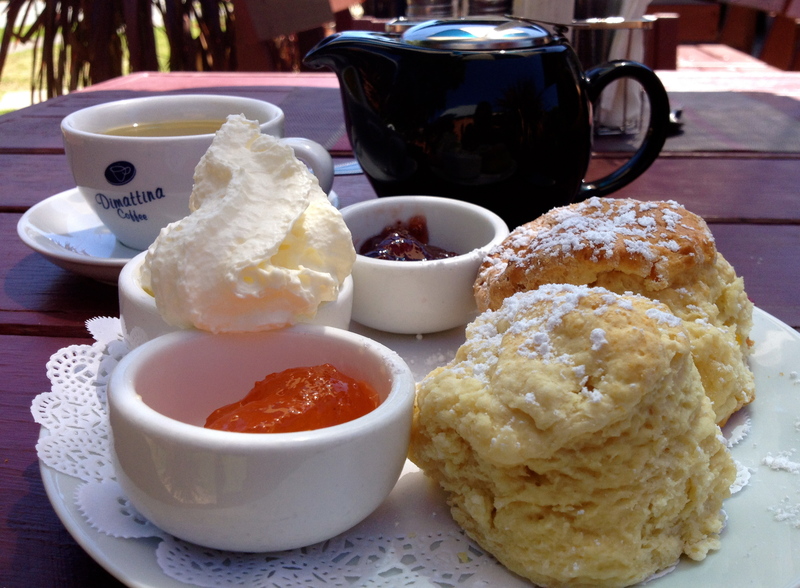 However, within a few minutes of cooling down, the scones are little more than rock cakes and inedible, the jam is average and the cream too light for me, which is a shame considering the million dollar views. Overall: A magical Sydney escape. Cousin Jacks Pasty Co. situated on the mall in Bondi Junction is no doubt a popular institution with the Eastern suburb Brits who feel homesick for traditional Cornish pasties, and in this case a Cornish Cream Tea. Delivering award-winning pasties for over a year, Cousin Jacks have only recently added the Cream Tea to their menu, and as it is co-owned by a true blue Brit from Cornwell, expect to get the taste of the county. 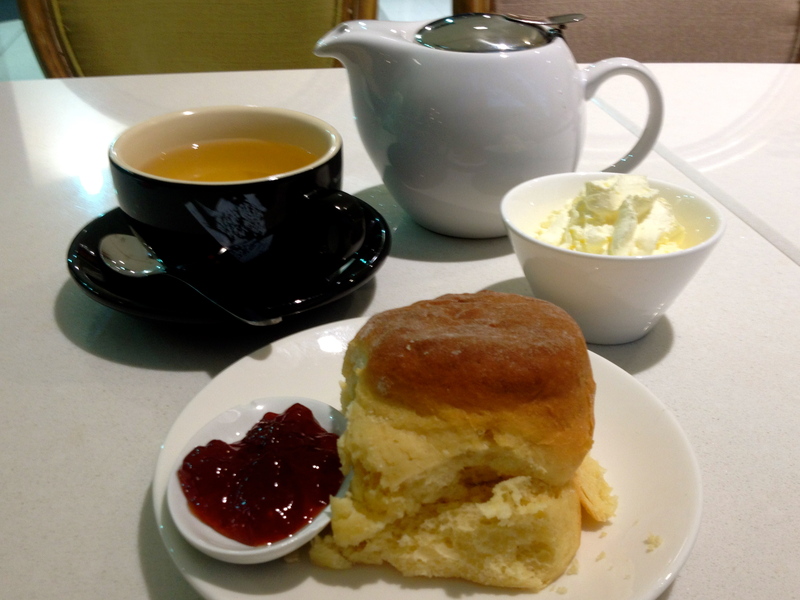 I try both the plain and sultana scones, which are served with plenty of strawberry jam and double thick dollop cream. 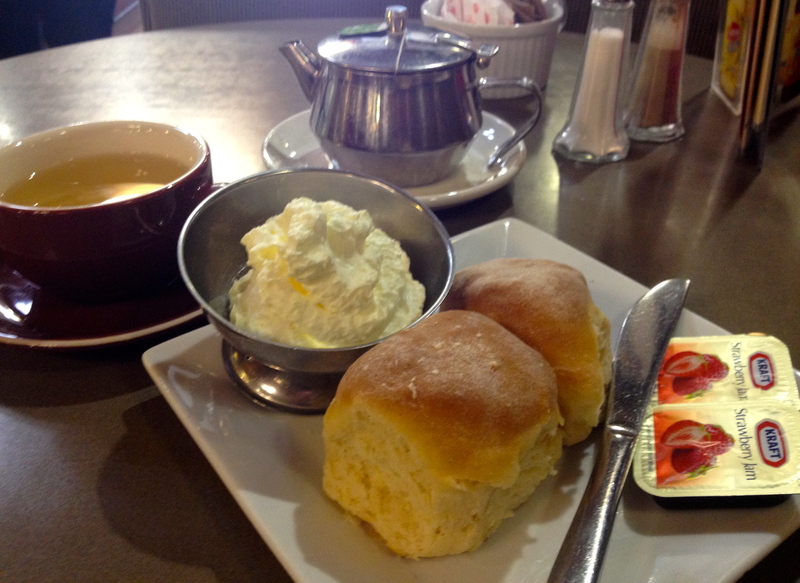 The scones aren’t particularly light and fluffy, but more erring to the tough side. 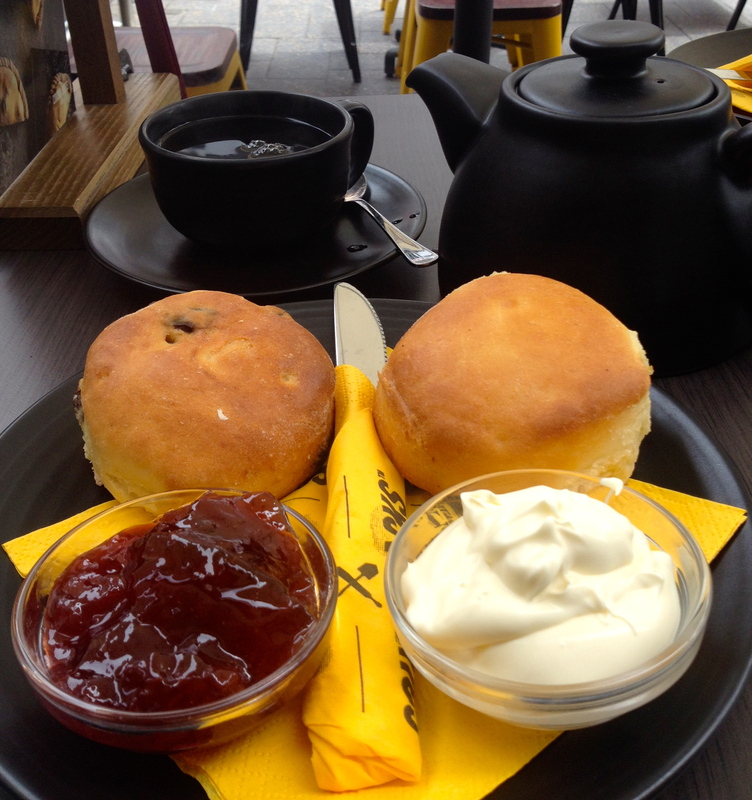 Maybe this is how they do scones in Cornwell? What do I know? 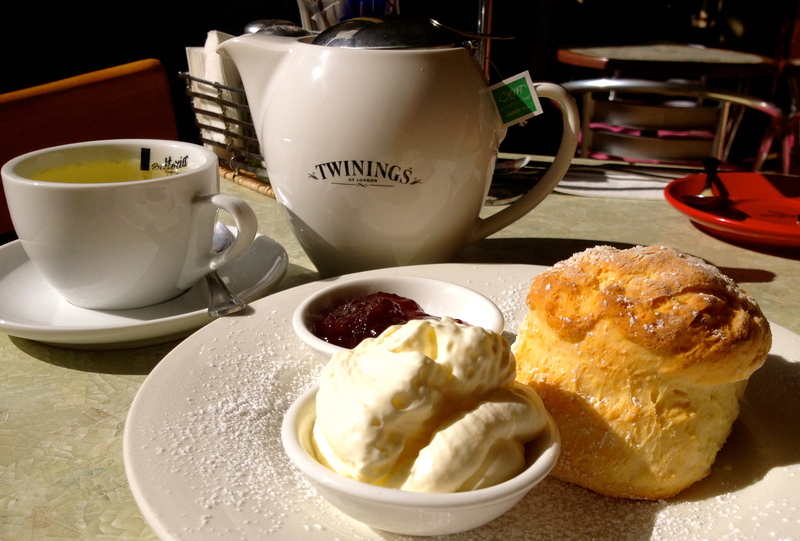 I only know that I, and my tasting companions agree, we like our scones light, fluffy and creamy. Tea: A small selection of teabags served in a large teapot. Try the Cornish tea, Smugglers Brew – all the way from Cornwell. Overall: Drop by for authentic Cornish fare.